Priced to SELL - owner says bring offers so you can ...Sip your morning coffee while enjoying the serene sights of nature and water views of this TURNKEY FURNISHED and end unit. The spacious open layout feels more like a home than a condo. The nearly floor-to-ceiling glass balcony doors allow for plenty of natural light into a large living room/great room area, plus the customized enclosed terraces enhance living space by creating a private terrace for the Master Bedroom and Florida Sun Room. Close the panels and enjoy the cool winter mornings to be warmed by the sun, or open the screens for the fresh breezes. Includes Eclipse Plantation shutters, solid wood doors, 36 wide doorways creating ease for handicap accessibility. You will love the kitchen with its long solid surface counter tops, abundant cabinets and every kitchen item you will ever need. Quality furnishings, and is truly move in ready. Amazing GE Profile Induction Stove w/Insta Cool. Sunlit Master offers its own separate balcony, bath with dual sinks, walk in shower and spacious walk-in closet. 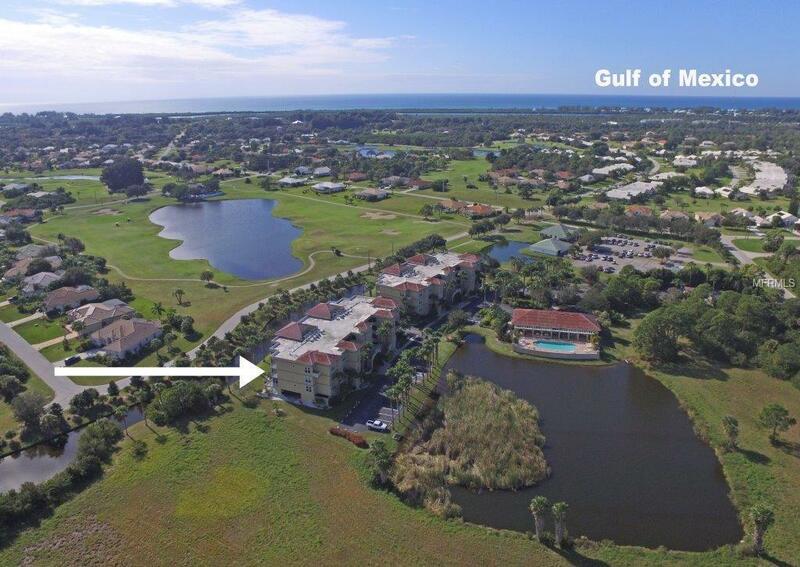 Gated community has lush tropical landscaping is within minutes to the conveniences of town and set between Boca Grande and Englewood Beaches. Walk next door to play a round a golf then finish up the day in the heated Community Pool, Club house w/Exercise Room. The complex has its own covered parking and elevator. This unit would make a great vacation rental or second home.